“Just in case it’s escaped your attention”, began Mark Clemmit’s BBC Football Focus piece. “But Bradford City are now owned by two ambitious Germans.” And to most other football supporters, it probably was something they missed. Last summer’s change of ownership from Mark Lawn/Julian Rhodes to Edin Rahic/Stefan Rupp was a huge deal in this part of the world, but largely went under the radar to the rest of football. That was probably because there were no grandiose claims from the new owners upon taking charge, and no controversial plans for the club like attempting to change the name or colour of the strip. When Rahic and Rupp initially bought Bradford City, they were deliberately low key and gave very little way about their ambitions and intentions for the club. 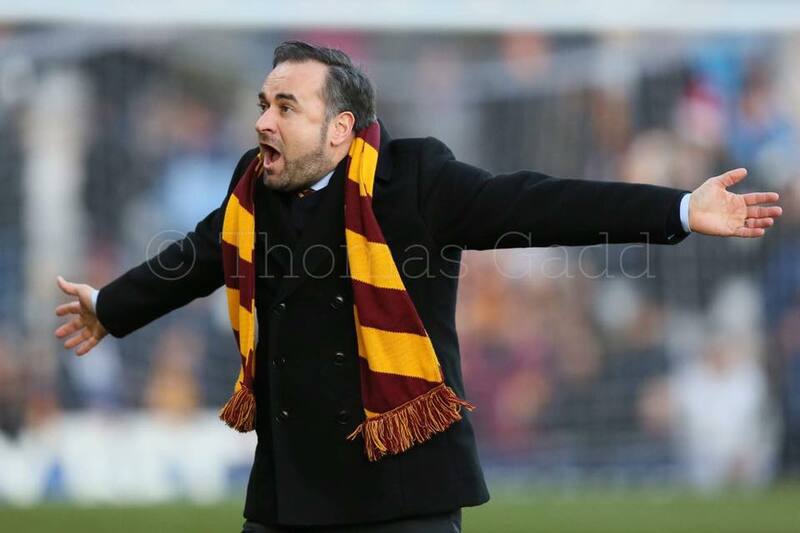 That’s now certainly changing, after Rahic gave a series of interviews to local and national media in the week leading up to Bradford City’s undeserved defeat to Scunthorpe United, where he said some really interesting, headline-grabbing things. There is an ambition to get the Bantams back into the Premier League within the next 10 years, at which point the owners promise they would only charge £1 for fans to get in. “Bradford is a working-class city, we are a working-class club and we want to encourage working-class supporters who give everything for the club,” he told The Times. The last few years have seen a number of once proud football clubs suffer greatly at the hands of a new owner. Indeed only a few weeks ago Bradford City travelled to Coventry and Charlton in quick succession – clubs who are in a mess due to appallingly leadership from the top. They and other dreadful football club owners were initially welcomed through the door by supporters and viewed as good people, only for them to let everybody down. The point is that the turmoil of other clubs meant it was prudent to cautiously welcome Edin Rahic and Stefan Rupp into Bradford City. But now, almost a year in, our guards are starting to drop. There is very little to find fault at the pair for; a growing warmth towards their approach, strategy and way of doing things. There was not much talk or bluster from them at the beginning. Instead, they got on with proving themselves capable of running a football club and implementing their vision. Show and tell. All of this has been achieved despite some notable challenges. Losing Phil Parkinson early doors was in hindsight the right decision for all parties. But it meant the summer was a rocky period for Rahic and Rupp, who would have been hoping for a smoother transition. During the January window they were criticised by some, including ourselves, over the transfer committee approach. It is to their credit that they have passed every test of their leadership so far, and that the evolution of the football club has their stamp firmly on it. 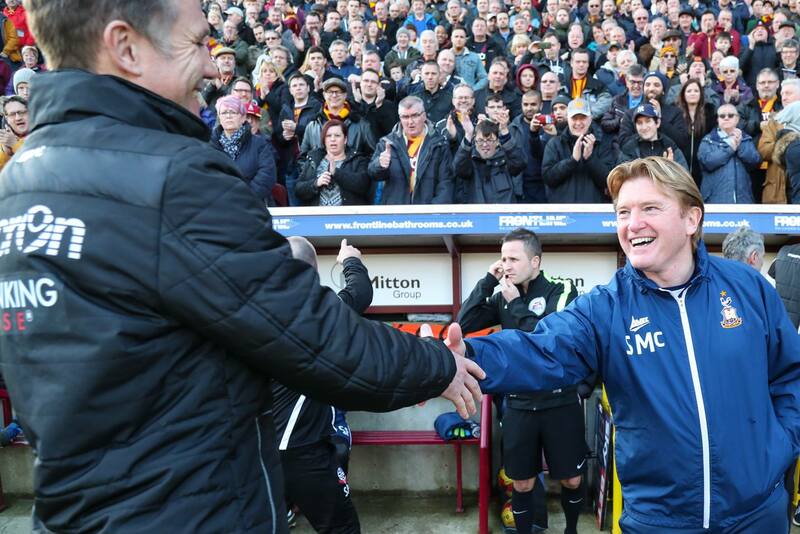 Stuart McCall has proven to be a masterstroke of an appointment. Not only in initially ensuring the support of most fans, after Parkinson’s departure could have seen people turn on the owners, but the way he has managed the club. Both Rahic and Rupp have talked about how much they favour a bold, attacking approach – preferring to risk going for victory, even if it means losing the game. McCall’s open, expansive style of football fits this desire perfectly. Going to Scunthorpe United on Sunday and playing so open was the sign of a manager knowing he has his employer’s backing to be adventurous. That City are the country’s draw specialists is a freak anomaly rather than an indication of cautiousness. And increasingly it looks like the January transfer business, whilst far from perfect, was progressive. Charlie Wyke is proving to be an astute piece of business. Alex Jones has improved on a very slow start and looks a real talent playing wide in a forward three. Alex Gillead’s injury has been keenly felt, as he was in good form before that. Kevin Toner’s debut at Scunthorpe was mixed, but for a back-up defender he’s not bad. There remains question marks about the players let go, although the impact of losing Nathan Clarke and Filipe Morais has been compounded by the injuries to Matt Kilgallon and Gillead. James Hanson hasn’t been prolific at Sheffield United, but has started every game but one as the Blades close in on the title. If we had have kept Hanson I believe he would still be playing a relevant part in certain games; but if selling him was the reason why City could afford Charlie Wyke it’s difficult to argue with this piece of business. Clearly Rahic and Rupp believe it’s important to target young players, and the presence of Jacob Hanson, Matthew Penny and Daniel Pybus poses interesting questions about the set up of the team next season. But if Wyke – signed as a 24-year-old with plenty of resale value – can continue to deliver the goods, he will either be a big figure at Valley Parade for years or be sold on for a tidy profit. He and Alex Jones are the most high profile examples of the model Rahic and Rupp seem to believe in. With the team enjoying a very good season and closing in on a play off spot, the Rahic/Rupp strategy is rightly proving popular. Stuart McCall might not have full say on the players coming in and out, but the quality of the players brought in has demonstrated the wisdom of crowds. Again Rahic and Rupp have excelled in the choice of person to oversee transfers, with Greg Abbott’s long association with Bradford City – and friendship with McCall – meaning he was welcomed into the fold. Compare McCall and Abbott with the uneasy, untrusting partnership of Peter Jackson and Archie Christie. The approach isn’t majorly different but there is no sign of friction. Moreover appointing people like McCall and Abbott has helped Rahic and Rupp better understand the fabric of the club. Few people know Valley Parade better than McCall and Abbott. And when you’re an outsider learning all about your new business, that insight and experience is incredibly valuable. Rahic is hands on, knows his football and wants to be greatly involved. But he’s surrounded himself with smart and knowledgeable people, which is enabling him to be influential in the right way. Rahic and Rupp looked at every one of the 72 clubs in the Football League – not to mention Rangers – and ultimately chose us. They don’t necessarily have the deepest pockets but they seem to be blessed with great integrity. They’ve taken time to understand the culture of the club rather than steam-roller over it. They’ve recognised the strengths, like a large fanbase and the potential of Bradford as a city, and sought to build on these strengths. It’s great to see their confidence and assurance blossoming. From the walk around Valley Parade prior to the Boxing Day clash with Scunthorpe United, through to the articulate way Rahic has come across during his recent round of media interviews. Their calm and measured approach has helped to keep the club settled during a period of huge change, and all signs suggest that the era of progress started by Parkinson, Rhodes and Lawn will be continued. It feels like the club is in really good hands with this pair, and that the glass ceiling we were arguably hitting under the previous owners has now been removed. Whether they are successful in bringing Premier League football back to Valley Parade by 2027 remains to be seen, but they have a well-thought out plan to match their grand vision. They’ve made an excellent start to running this club, and have painted a picture of a bright future that feels achievable. I personally think they’ve done great since they took over. They have had 2 dodgy moments with the fans getting on their back which was PP leaving and James Hanson been sold. I didn’t want either gone but especially when James was sold they got some right stick of so called supporters. The signing of Alex Jones and Romain for a fee told me we had the correct owners on board and I mentioned on here a few times how I trust these men to run our club. We have made great strides in just 2 transfer windows and previously for the last 15 years we couldn’t dream of getting a player like Charlie Wyke signing for our club but now we can. As ive said previously I wouldn’t be disappointed if we didn’t go up this season as I feel we are not ready (wouldn’t say no though if it happened) but next season I feel whoever comes down or up we will be fighting for the automatic spots and will do it. I was discussing Blackburn Rovers with a Burnley supporting friend, and even as an ‘aggressor’, he feels BRFC have been done ! 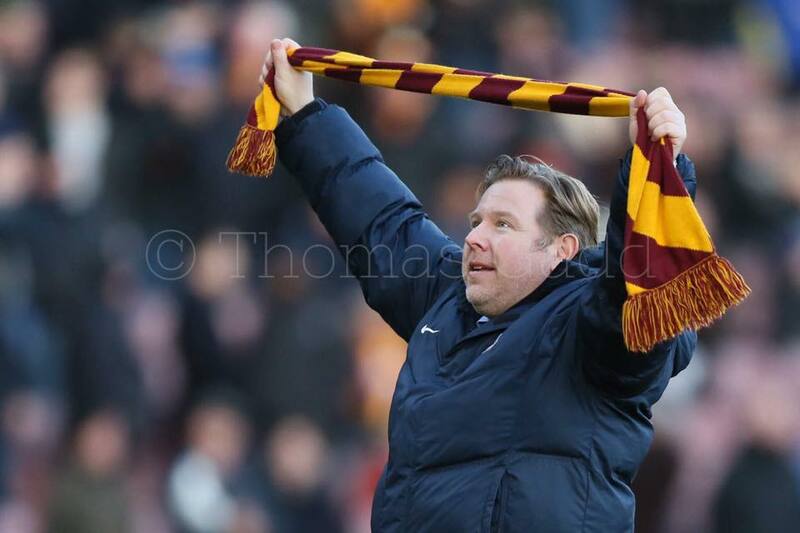 The take over was possibly long and painful for BCAFC, but for the media, and us fans it appeared seamless. I for one welcome and embrace it. Nothing to do with football, but all of those have enhanced my own culinary skills. 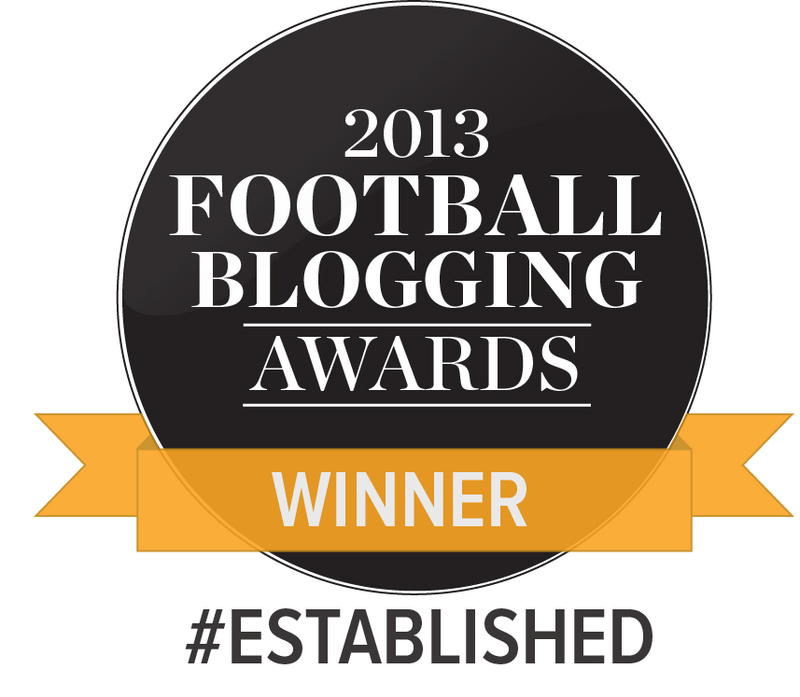 On the footballing front – things can only get better …….. Can’t they ? I have always bought into German Technology – so why should we not buy into their Management ? City are in a better position now than they were last year, promotion or not. So climb upon the band wagon – and enjoy the ride………. I am 5000 km away so its hard to attend and watch games, but I follow the team with the help of WOAP, BCFC’s youtube channel and a few sites. I started following BCFC when James Hanson signed for the club. That was 2010. 7 years later, BCFC are knocking on the door of the Championship, and they have new owners that can help them sustain the rise up the ladder and seem to genuinely care for the club and city, much like the previous owners. Its been a slow but steady climb up the Football League since, with that great cup run of 2012-2013, followed by promotion. That they are still in the top 6 with so many draws is impressive, following a summer of uncertainty after PP left. Maybe my perspective is different, not being so close to the action, but I think Bradford City are in a good place. Edin has been quoted in the press of pricing tickets at £1 if City get to the Premier League. A bold statement as he will have to honour that otherwise these quotes will be dragged up again. Having said that, I am delighted to have these 3 (including James Mason) at the helm of our club. Hopefully we can buy back the stadium which will give us more funds for players. They are excellent for this club. They are clever and shrewd operators who have not waivered from their philosophy in the face of making unpopular decisions. Their first masterstroke was the appointment of a true fan favourite as mama get. Then the appointment of another hard working, well loved and no nonsense footballing man in Abbo. Then the sale of Hanson was bold, but needed. Let’s not start that debate again but in Jones and Wyke we have two young goal scorers. All points eloquently made but that need highlighting. Edin is a real footballing man with true Bradfordian principles. I too, like the poster above, love Germany and they are the closest European nation to us in mentality. Edin is identical in his mentality to a Yorkshire man. He appreciated a pound and graft. Long may it continue. They will be bumps and problems. But let’s give them time please. The ticket price promise is an interesting one. I suspect that the TV deals have peaked already and will start a steady decline in the next decade or so. BT and Sky are using the deals as carrots to attract subscribers to their whole package yet more and more younger people are watching shows through other means like Netflix. Not to mention the problem with illegal streaming. So if we were to get in the Premier League again under their tenure, it could be that ticket revenue is once again a key part of overall revenue for a football club.